Karma Chakmé (Tib. ཀརྨ་ཆགས་མེད་, Wyl. karma chags med) (1613-78), aka Raga Asé (Skt. rāgāsya; Tib. རཱ་ག་ཨ་སྱ་, Wyl. rA ga a sya), was one of the most highly realized and accomplished scholar-yogins of Tibet. An important Karma Kamtsang teacher, he was recognized by many as the incarnation of the ninth Karmapa (but not selected.) His teachers included the most famous masters of his time, both Nyingma and Kagyü. He was both the teacher and student of Tertön Mingyur Dorjé‎. 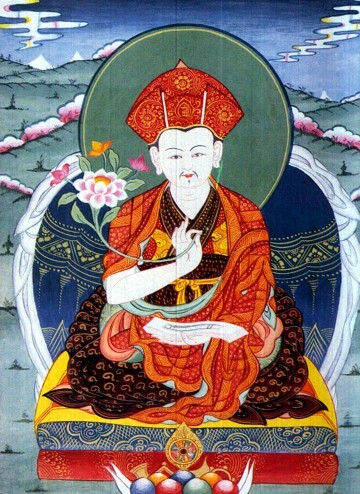 His writings include a famous prayer to be reborn in Sukhavati, the heaven of Amitabha, and outer, inner and secret namtars of Tertön Mingyur Dorjé‎. This page was last edited on 30 May 2018, at 05:14.